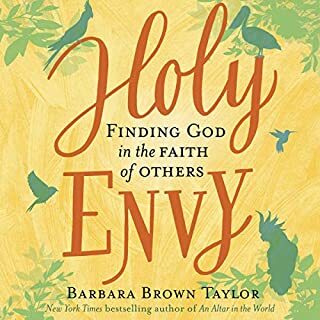 The renowned and beloved New York Times best-selling author of An Altar in the World and Learning to Walk in the Dark recounts her moving discoveries of finding the sacred in unexpected places while teaching the world’s religions to undergraduates in rural Georgia, revealing how God delights in confounding our expectations. The 14th century reflects two contradictory images: on the one hand, a glittering time of crusades and castles, cathedrals and chivalry, and the exquisitely decorated Books of Hours; and on the other, a time of ferocity and spiritual agony, a world of chaos and the plague. When Tiro, the confidential secretary (and slave) of a Roman senator, opens the door to a terrified stranger on a cold November morning, he sets in motion a chain of events that will eventually propel his master into one of the most suspenseful courtroom dramas in history. After the long period of cultural decline known as the Dark Ages, Europe experienced a rebirth of scholarship, art, literature, philosophy, and science and began to develop a vision of Western society that remains at the heart of Western civilization today. By placing the image of the Virgin Mary at the center of their churches and their lives, medieval people exalted womanhood to a level unknown in any previous society. For the first time, men began to treat women with dignity and women took up professions that had always been closed to them. The communion bread, believed to be the body of Jesus, encouraged the formulation of new questions in philosophy: Could reality be so fluid that one substance could be transformed into another? Could ordinary bread become a holy reality? Could mud become gold, as the alchemists believed? These new questions pushed the minds of medieval thinkers toward what would become modern science. Artists began to ask themselves similar questions. How can we depict human anatomy so that it looks real to the viewer? How can we depict motion in a composition that never moves? How can two dimensions appear to be three? Medieval artists (and writers, too) invented the Western tradition of realism. On visits to the great cities of Europe - monumental Rome; the intellectually explosive Paris of Peter Abelard and Thomas Aquinas; the hotbed of scientific study that was Oxford; and the incomparable Florence of Dante and Giotto - Cahill brilliantly captures the spirit of experimentation, the colorful pageantry, and the passionate pursuit of knowledge that built the foundations for the modern world. I have immense respect for Thomas Cahill and this series. Cahill manages to cover a lot of ground in a few steps, encompassing politics, religion, art and culture in an engaging and informative style. His strength is in his ability to make history relevant -- why we should care what happened nine centuries or two millenia before we arrived. Where other texts often treat the reader to accounts drier than the bones of these long-dead movers and shakers, Cahill makes them as alive as the people we gossip about, and understands well what facets of a particular age will appeal to today's readers. 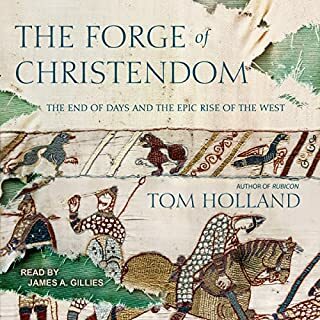 I highly recommend this book, as well as any of the others in this series, "The Hinges of History." So, to the one caveat: Cahill's politics do creep in; however, he offers his opinions openly and briefly. It is so much fun to read a book where there's a fairly routine need to stop and look up a word. Cahill's approach to history is so lively and intellectual (at least for this old brain) that I feel entirely enlivened just realizing I read the book. To highlight several illustrious historic figures (Francis of Assisi, Hildegard of Bingen, and Dante Alighieri--to name a few)instead of using a linear way of covering the same ground is brilliant, not to mention fresh and stimulating, both. But the most startlingly moving section of the book for me was his short Postlude, "Love in the Ruins" in which he describes in a heartbreaking way, how the Catholic church has so hideously betrayed its mission by its current wave of scandal. Although it might seem odd to find such a treatise on the way the Church has 'handled' the pedophilia crisis in a book about Medieval times, it is incredibly fitting--because if it were not for the Church, Cahill points out, Western Civilization as we know it would not exist. Mr. Cahill is very good providing depth, and insight into our past. I was not disappointed by this audio version of his text. The narration makes the breath of information tolerable especially to those that believe they hate history. 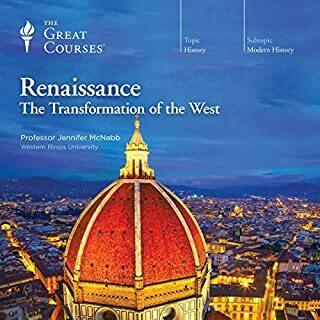 This book could serve as a valued primer for anyone intersted in studying this phase of Western and European development. Amazing the influence of art on developing society and it's use as a tool of political influence. Also explains why certain classes are required for freshmen entering college. A good listen for the academic in or near you. Cahill does a superb job teaching history without the taint of student/teacher. It is after all, entertainment and enlightenmment. Try this! You'll be glad you did. Thomas Cahill reads, writes &/or speaks multiple languages including Italian, Greek & Hebrew! He's extremely readable (listenable in this case). He's an impeccable scholar with a vast & comprehensive grasp of Western culture & civilization's origins and history. He writes with ease, wit and insight about "the Hinges of History"; individuals, cultures, & events without whom or which history as we know it would have unfolded VERY differently! Unequivocally recommended! This has quickly become one of my favorite period history books. I've become a fan of historical fiction set in the Middle Ages, and Mysteries of the Middle Ages serves as a good companion in that it helps explain some of the greater issues that helped shape the history of that time. 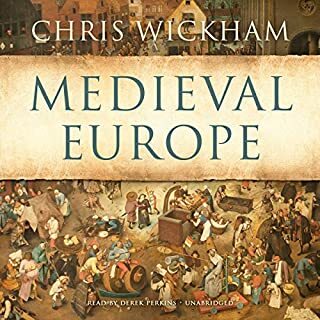 Readers interested in the Middle Ages will find an abundance of fascinating information presented in chapters that illuminate aspects of history without getting bogged down in endless timelines and mind numbing details that often derail other similar books. 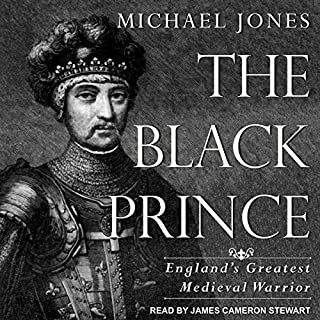 John Lee is an excellent narrator (as always) and enriches the book with his elegant accent, inflection and seemingly flawless performance of Latin, French and Old English. There are a couple of points at which the author injects his own opinion about Catholicism, which I happen to agree with, but feel should have been left out as they were commentary and drifted away from the focus of the book as history. Overall, this is one of those books I will return to again. It has also compelled me to look for more books written by Cahill and narrated by Lee. If you're only listening, and not following along in this beautifully produced book, you will unfortunately miss many of the interesting footnotes scattered throughout the text. Not sure I understand why they are left out...and would otherwise have given it 5/5 stars. Sees history through a biased contemporary secular prism. An enormous waste of time. 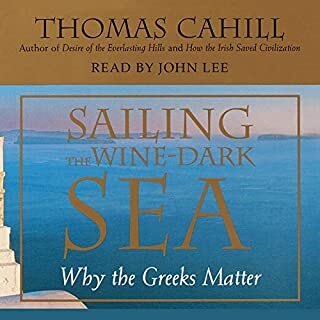 John Lee does a good reading but Cahill's storytelling is more trivia history and pushing an agenda. 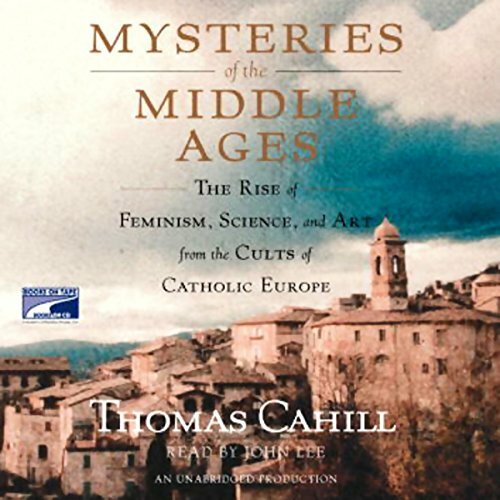 I'm a fan of medival history and really appreciate the voices from the past that Thomas Cahill evokes. It's a wonderful book, well told and we'll written. Part 1 is too much !! Meandering, academic, boring - unless you are a serious academic - in which case you don't really need to read it.